The 6ft Purple Sky Dancer attachment from SkyDancers.com is the inflatable advertising product you need to pull those extra customers in to your business or event. It's bright purple color, approachable height, and welcoming dancing motion will have all that pass by curious. You won't need anything else to liven up your establishment for an upcoming event or season. 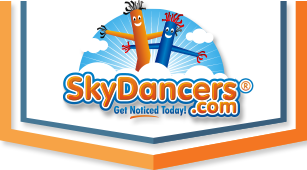 The 6ft Purple Sky Dancer from SkyDancers.com is made of high quality material and is head and shoulders above the competition. Diameter of Sky Dancer is 9"